Are you guys going to get mad at me because I’ve been away for a week from cooking and now I’m back with a smoothie recipe? Before you think about closing the window and decide never to visit this little cooking blog, hear me out. We got back from Mangalore this morning, where we were celebrating Denver’s grandma’s 85th birthday yesterday. She’s a total cutie and you guys will love her! We got back and I realised I had all these fruits sitting in the fridge uneaten and I immediately got to work. 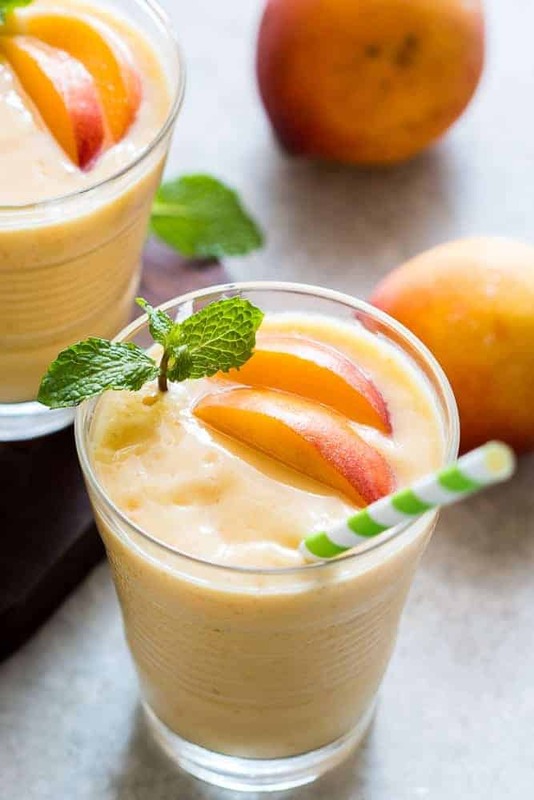 We did have our regular breakfast of bread and eggs but I just sneaked this healthy vegan frozen peach and mango smoothie in. And oh maaaaaaan I can’t tell you how good this was. It was just what we needed to fill that little spot in our stomachs and settle everything in its place. I know that name is a little complicated for a smoothie but I’m hoping that after reading this your smoothie won’t be just another smoothie. It’ll be the best smoothie you’ve made and these little tips will make you a smoothie ninja! – Smoothies should be nice and thick. But it should be the right amount of thickness so that you can either slurp them away with a straw or eat them with a spoon. Both work. For a super thick smoothie, my trick is to freeze the fruits overnight. Then you don’t need the extra ice which can dilute it and make it watery. – I also like to use a ratio of 2/3 frozen fruit to 1/3 liquids which in this case is coconut milk because I love the tropical flavour it adds to my smoothies, but you can just as easily use thick yogurt/greek yogurt, skim milk or any other nut milks. Coconut or Nut Milks also make smoothies naturally vegan which is good news for all my vegan friends out there! 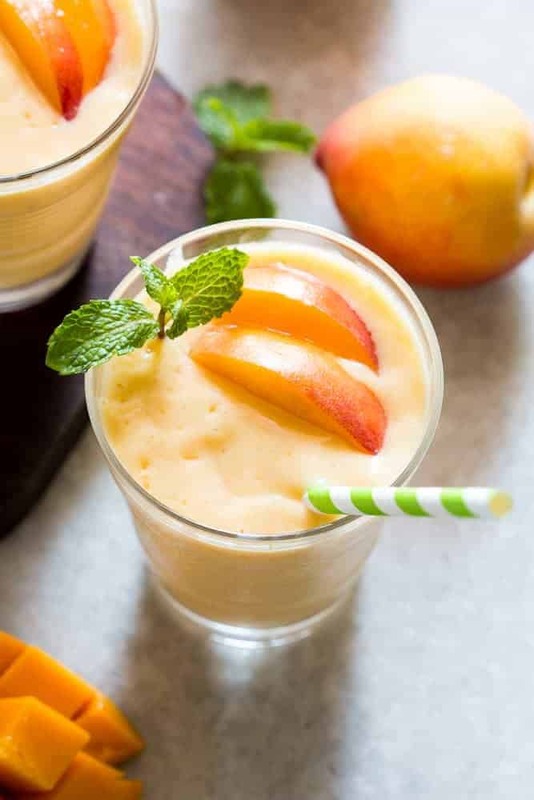 – When I started making smoothies I used to add a ton of oats and flax seeds to them, but they would just make my smoothie thicker – thicker than I liked. For the right consistency I add a tablespoon of uncooked instant cooking oats to my smoothie along with fruits and liquids. 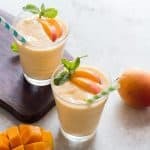 – I prefer using fruits which are naturally sweet like mangoes, over ripe bananas, peaches, even melons in my smoothies but once in awhile when you need to, add an extra dash of honey. Honey has a nutty flavour which sugar doesn’t, which is why it works so well in smoothies. – Another tip – add a drop or two of vanilla extract which can fool you into feeling that your drink is sweeter than it actually is! I can’t believe I wrote an entire thesis on making smoothies, but trust me, a great tasting smoothie will keep you feeling full all morning. And being a smoothie expert is never a bad thing right? The best smoothies are the ones that make you feel like you are eating dessert instead of a healthy drink! BTW here’s an update on the house. We are finally settling in. We still don’t have an internet connection which is I’m sitting at the Church Street Social today, trying to get as much work done as possible. I’m actually looking for cafes which let you use wifi in the frazer town area but no luck so far! Any ideas? And these pictures, they are the first pictureeeesssssss in the new house! What do you guys think? Does the lighting need more work or do you like them as much as I do? If you are a breakfast and brunch person, check out my Breakfast board on Pinterest where I have over 1000 recipe inspirations for you! 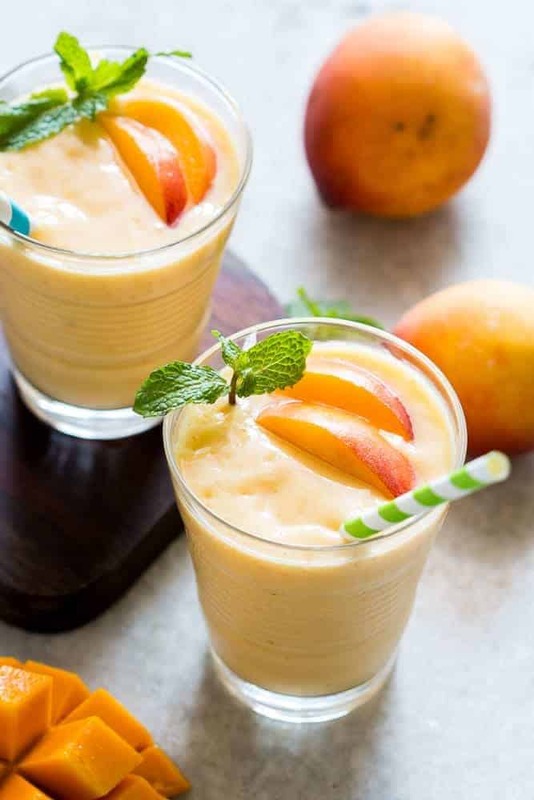 Super healthy peach mango smoothie is vegan and the frozen fruit makes it thick and dessert like! Also get my top tips for making the best smoothies! Add all the ingredients to a blender and blend till smooth. Serve cold. 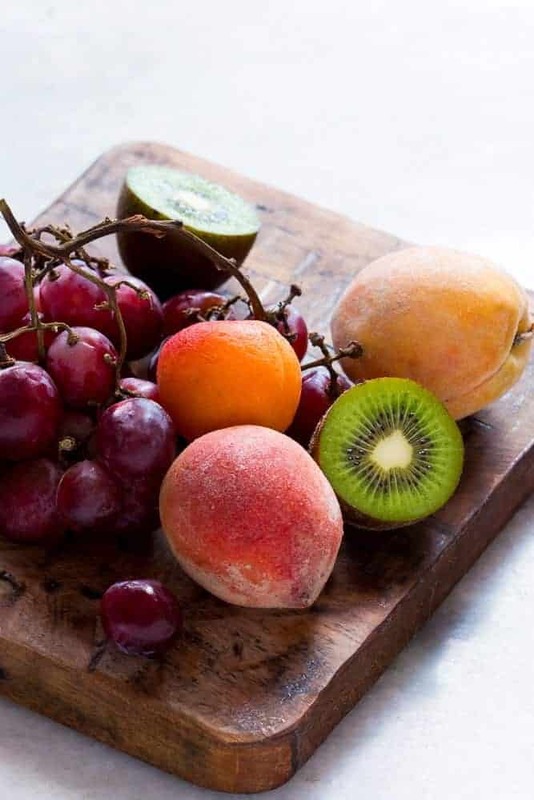 If using fresh fruits instead of frozen, add 8-10 ice cubes while blending for a cold, delicious smoothie! So excited for your new place- the light looks lovely. These smoothies look great and hope Denver’s grandmother had a lovely birthday. Been a little behind catching up with all your posts, but on it now! Thanks Vaidehi! I actually used fresh coconut milk made at home, but I’ve also tried smoothies with Dabur’s Coconut Milk packs and they work really well! hi Richa, the smoothie looks yumm! can you tell me which brand of coconut milk did u use? beautiful shots!!!!!!!!! i cant wait to see more photography from your new space, i can already tell it will be ahmazing. Oooh I love the straws too. If I’m honest, the colourful straws are my favourite part of drinking smoothies ???? I bought them on amazon. Here’s the link – http://www.cucumbertown.com/affiliate/redirect/i2/?source=copy Just write to me about any other stuff you’d like to buy and I can hopefully point you in the right direction ???? This smoothie looks amazing, I love how you’ve photographed it. I’d love to know where you got the pretty straws, and where you get nice bits and bobs for the kitchen that often feature in your photos!